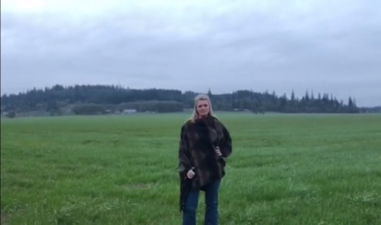 As you may know, yesterday was Oregon’s 160th birthday! Every day I am reminded why Oregon is great: the beautiful landscapes, the fertile soil that provides us with food, and the amazing people that make Oregon one of a kind. It is a true honor to be serving my friends and neighbors in House District 15. 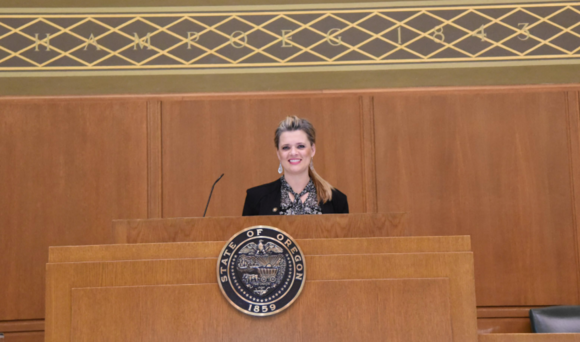 Each year, new legislators are given the opportunity to preside over the House of Representatives as Speaker of the House. This year, Representative Boshart Davis was the first of the new legislators to take the gavel and lead her colleagues through the parliamentary process. Last Friday, Representative Boshart Davis spoke to a group of FFA members for their special day at the Capitol. FFA is an organization that develops and educates student leaders in agriculture. 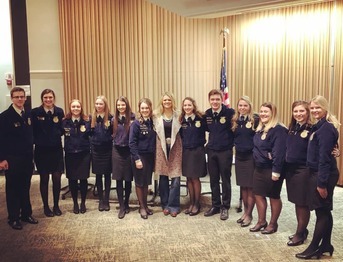 She discussed the state of politics in America, the rewards of hard work in and out of the classroom, and the benefits an FFA experience yields in the future of the young people that are involved! The Head Start Program is a nation-wide program that provides essential childhood development services to low-income families and children. 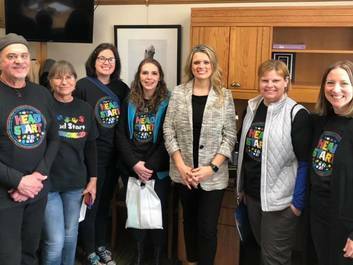 The Linn and Benton County Head Start program came by to discuss the positive impacts the program was having in our community and how to build off that success. If you or a group ever want to come to Salem and visit with Representative Boshart Davis, please contact Zachary at Zachary.Sielicky@OregonLegislature.gov to set up an appointment! You can also set up a historical tour of the Capitol by visiting this link. House Bill 2020 (Cap-and-Trade) will be the most closely watched and highest priority bill for lawmakers in the 2019 Session. This bill would grant an unprecedented amount of regulatory power over utilities and energy to a newly created Carbon Policy Office. Policy analysts anticipate this bill will shoot Oregon’s gas prices to the third highest in the country. The Joint Committee on Carbon Reduction has held over 20 hours of testimony on the far-reaching bill so far. Senate Bill 608 is another highly contentious bill this session. This bill would prohibit landlords from evicting month-to-month tenants after 12 months of occupancy and cap the rate at which landlords can increase rents. SB 608 has passed out of the Senate and is currently in the House Committee on Human Services and Housing. House Bill 2001 aims at addressing the affordable housing crisis by allowing the building of multi-family housing units in areas zoned for single-family housing. If passed, city zoning laws with populations of 10,000 or more would get revamped entirely. This bill is currently hearing public testimony in the House Committee on Human Services and Housing. Starting next Friday, the Joint Committee on Carbon Reduction will take their hearings on the road. It is a fact, House Bill 2020—in its current form—will have major impacts on the wallets and lives of all Oregonians. That is why members of the Joint Committee on Carbon Reduction feel it is essential to provide as much opportunity for public input and to hear how Oregonians feel about the biggest cost of living increase Oregon has ever seen. As your Representative, I want our district's voices heard in this process. If you, or anyone you know would like to participate in public testimony on the Cap-and-Trade legislation, learn how to here. If you cannot make it to one of the hearings, you can also submit written testimony here where it will be available on OLIS for everyone, including Committee members, to see. If you need any more information or help with the testimony process, reach out to Zachary at Zachary.Sielicky@OregonLegislature.gov or call us directly at (503) 986-1415. Newsletter: Thank you, Mr. Secretary.